Dimma are a Swedish Rock band from Uppsala. The band has released one 7” and one full length CD back in 2004. I reviewed the debut CD. The band has gone from a four piece to a three piece band (lost the singer and now Rikard the guitarist sings) for this recording. It is more like an EP as it is only 30 minutes long. The band sings all in Swedish. Drabbad av Oro starts the CD off and a pretty ordinary rock track with some passionate singing. Helvetets Klocka is a pretty intense track as Rikard really sings with passion and the bass and guitar riff are just simple but heavy. Jag tanker på Solsken is a short track and a bit like the first track. Falla I bitar has a more heavy bass line and is a bit slower. Dagarna I ända continues along this line with the heavy but quite basic rock track. The short guitar solos that appear here and there don’t impress or add much, unfortunately. 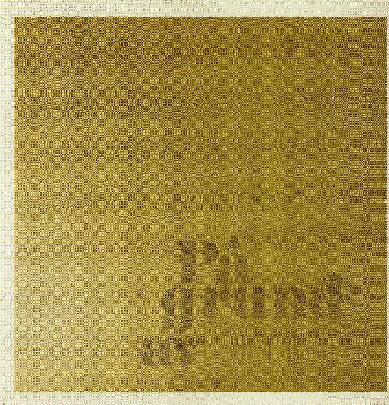 Vern fan har ett hjärta av guld is something totally different now with the heavy organ and darker vibe. Der måste vara hög tid nu is a short 2 min speed rocker. Når jeg forst såg dig slows things down again and is a bit more of a stoner rock type track. The title track ends the CD, and is a more complex track with a lot of changes going on. I don’t know about this CD. The songs just did not really stand out that much from each other and speak to me in anyway. I think if you understand Swedish then you get something more out of it. It is heavy rock but there are few solos so the band is not trying to rock out really. Not sure what I was suppose to get out of this one. I think their last CD was much cooler.